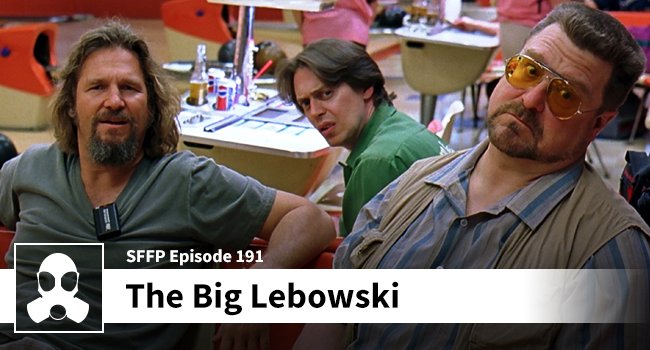 Matthew and Dean say lots of things about “The Big Lebowski”, but if you are looking for objective criticism of this Cohen brother’s classic consider yourself warned. This week’s episode contains only high-praise. It has often been said – and admitted by the Cohen brothers – that the plot doesn’t really matter, but if you take a minute to think about the Bunny kidnapping/vacation dynamic it adds another layer of comedy (and good storytelling) to a hilarious film. Dean calls this his favorite comedy, but Matthew isn’t quite ready to make that claim. Hop on and listen to them break down all your favorite parts, and remember – they use a lot of cuss words… dude.